Maybe you’re the head of a company. Maybe you’re a department leader trying to make your way up the ladder or you're co-leading a sales organization. Either way, there is always room to improve and be better. As a leader in sales – what have you done lately to better the future of your employees and company? There is a lot that can be learned from this statement. These are just a few small changes you can implement to vastly improve your leadership skills while receiving excellence without ordering it. Allowing autonomy in your workplace can increase morale and satisfaction almost immediately. You have trained your sales team - they know how to get their job done. When you allow your team to do things their own way, they are likely to get more done because they are able to create their own workflow styles. Autonomy shouldn’t only be implemented in sales related functions. Autonomy can be incorporated into work hours. Set the number of hours that your team must be in the office, in addition to certain times for employee meetings. Then allow employees the freedom to adjust their own schedules – within reason, of course. Invest in your employees! And no, it doesn’t have to be money. Yes, we do encourage Sales Incentive Programs, but not everything has to be rewarded with dollars. Simply reaching out and thanking an employee for their hard work and dedication can go a long way! Reward milestones and achievements, but don’t forget to add personal touches to engage employees within the organization on an even deeper level. Call out members of your team that are having a stellar month. Have a quick meeting to congratulate a sales guy who landed the sale he’s been chasing after for months. Show excitement for the little accomplishments they will add up to greater accomplishments. Just remember to recognize the employee in the language that best suits them. You’re the boss. You worked hard to be where you are. But don’t expect that your position allows the ability to do what you want all the time. Employees mirror the actions of their leaders. With that being the case, you should lead by example. Show your sales team that although you are the boss, you are willing to do things when they need to be done. If they are so close to hitting this month’s sales goal, pick up the phone with them and start chasing down leads. Show them you are equally invested in them and the work they are doing for your company. Leading your company by example allows you to pick your own battles while gaining respect and approval along the way. 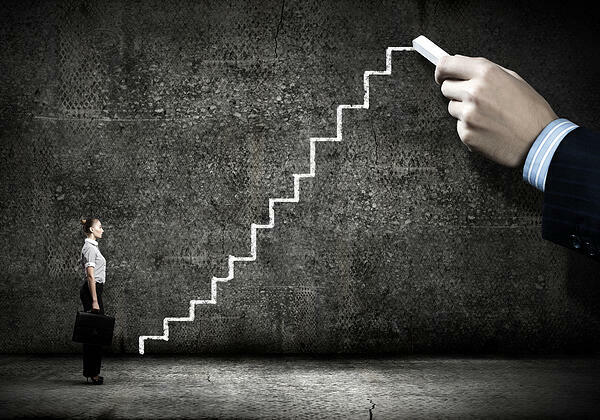 From a salesperson just starting their career to upper management at the top of the company - continuing to build leadership skills can be the difference in taking your business to the next level or staying stagnant. Increasing autonomy, recognition and leading by example are three ways accomplish your goals with purpose. What's the Difference between Disengaged and Unengaged Employees?